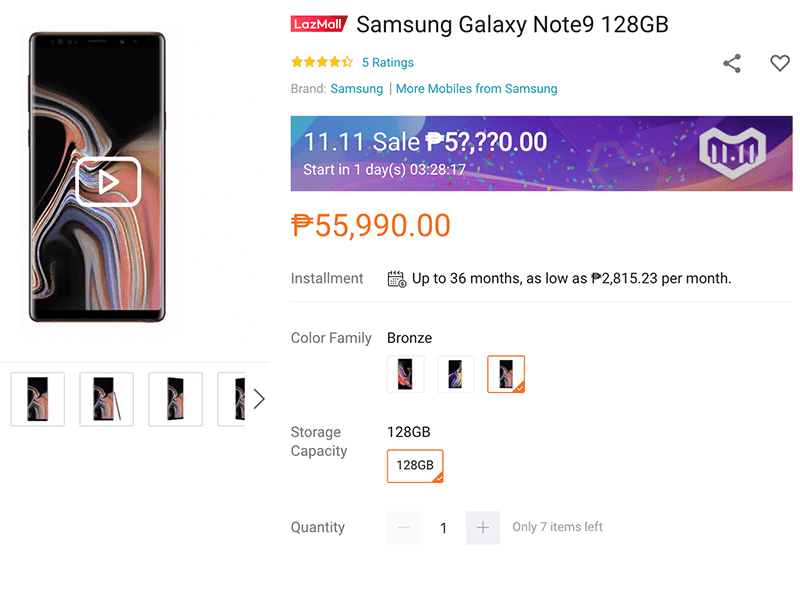 Sale Alert: Samsung Galaxy Note9 and more in up to 40 percent off on Lazada 11.11 Sale! 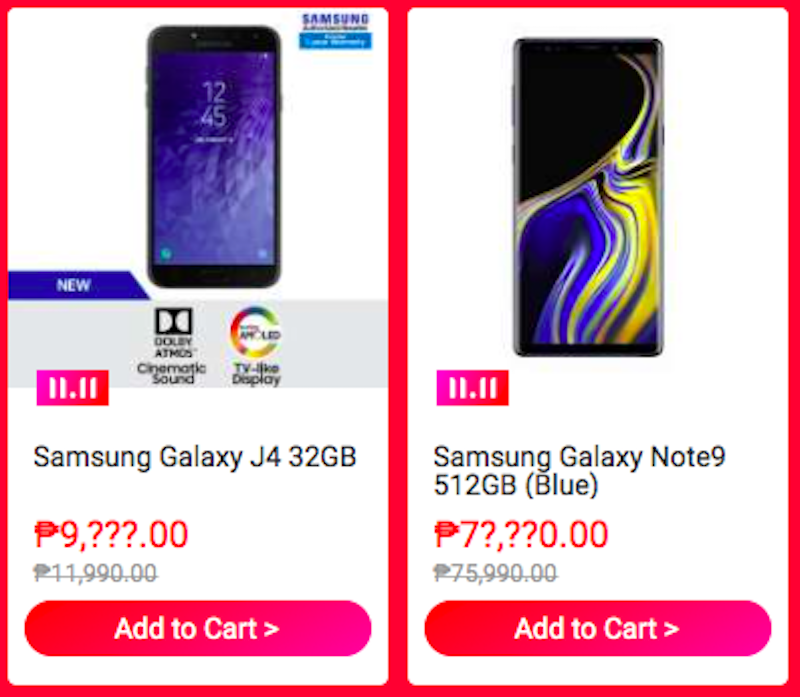 Home / mobile / news / samsung / Sale Alert: Samsung Galaxy Note9 and more in up to 40 percent off on Lazada 11.11 Sale! Samsung's flagship store in Lazada posts it's teasers for the upcoming Lazada 11.11 Sale! Samsung smartphones will be on sale! The latest flagship Samsung Galaxy Note9 is teased to be at a lower SRP price with FREE 10,000mAh battery and Gear VR controller. Meanwhile the Samsung Galaxy Watch has a teasing price starting at PHP 8,000 from its SRP oF PHP 16,990! Samsung Galaxy J4 will sell PHP 2,000 lower than its SRP PHP 11,990. Samsung Galaxy A8+ 2018, Galaxy S9, Galaxy J7+, TVs, speakers, washers, and more will also be on sale! The 128GB model also gets discounts! BUT, these deals will only last for two hours on November 11 from 12am until 2am only! If you want to steal these deals, you better add them you your cart now and check them out right away! Lazada will be holding one of its biggest holiday sale on November 11! Wide varieties of smartphones, televisions, speakers, tablets, bags, clothes, and more will be on sale. Are you excited with these deals? Share the good news away!